A very warm welcome to you. Thank you for visiting our site, I'm sure you will find it interesting and useful. We will do our best to let you know what our training centre does, and I will try my very best to be a good host. If you find the birds in your garden or in the park attractive and fascinating, but are unable to identify all of them, then this is the site for you. We've had a lot of experience in teaching beginning bird watchers and so we can teach you in a very short period of time, to recognise all the birds who live in your neighbourhood. You'll have fun following the lessons and end up pleasurably surprised at how a knowledge of the birds around you has enriched your life. You can subscribe to three modules. First, there is a series of lessons on songbirds, in the spring. 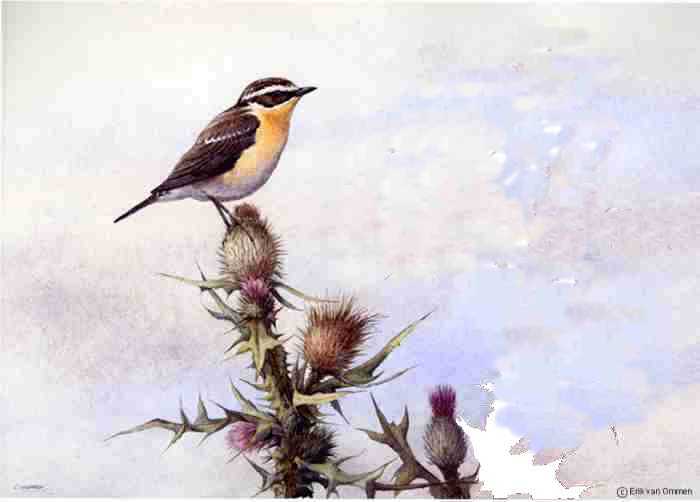 Then, we offer a module on migratory birds in the autumn and end with one on winter residents and visitors. I spend a lot of time watching birds and listening to them. If you would like to read what I have observed and come across this week, click on ORNITHO NEWS now. If you subscribe to our courses, you'll receive a free newsletter by e-mail every month. You'll find the answers to frequently asked questions here. The questions and answers will be regularly brought up to date on the basis of ……what questions are most frequently asked. We endeavour to keep the cost of our courses and other services as low as possible, so that everyone can benefit from them. This is why all communication is through this site alone. All subscription matters are handled by e-mail. This is also the medium for your questions to us. In this way, we can avoid expenses such as postage, phone charges, cheque clearance and all kinds of other overheads that make other courses so expensive.